Urban said the song was written with his wife, actress Nicole Kidman, in mind. 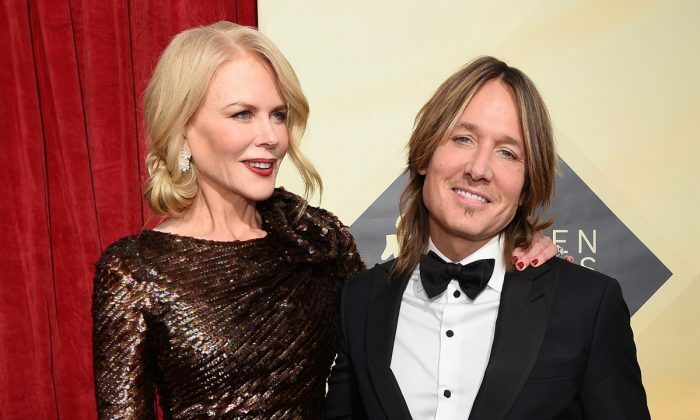 The song reflects a conversation he and Kidman had before they were married, when Urban was trying to assure her he would make a good partner. “I was a safe place and I would take care of her, and she could remain vulnerable and precious and that I would try and keep the world away from her so she didn’t have to be hardened,” Urban remembers telling Kidman, according to the Tennessean. He co-wrote the song with prolific songwriter busbee. Busbee, Carrie Underwood, and Urban were at The Back Corner nightclub in Nashville, Tennessee, on Aug. 6. Busbee talked about how smooth the process was. The song is a duet with Carrie Underwood, who sings the chorus and bridge with Urban. Urban praised Underwood for bringing the emotion he was looking for into the song. “It’s not a given that every female will say, ‘What if I fall? What if I get scared?’ Bless you for saying that in a song because so many people won’t say that because they think they have to be tough … and you were willing to do that. I can’t thank you enough for being willing to be vulnerable for this song,” he said. Urban also shared how the song reflects his personal philosophy.